This is a great post! And he IS cute. Love that smile in the picture. Kerry posted this on her page and I am so glad I read it! You have such a knack for words (like Kerry). It is amazing how ignorant people can be. I hope more people read this and realize the 'proper' way to handle certain situations. I think Aiden is so stinking cute, and every picture of him smiling melts my heart! Thank you so much for visiting my blog and commenting. This is such a wonderful post. You might like to link it to Love That Max linky party - a blog by a mom with a child who has CP: http://www.lovethatmax.com/2012/08/special-needs-blogger-weekend-link-up_31.html Thank you for sharing so much wonderful information. My daughter has special needs and I know that these precious children have wonderful sweet souls and offer us so much. I love this post! Perfectly well said. Great post. I especially appreciate your encouragement to ask questions and interact. Your children are beautiful! We have faced the same type of reaction in public and not just from children. Thank you for spreading awareness! Enjoy your little angels and good luck with pregnancy. Thanks for sharing such a thoughtful post. As a mother, I want to teach my children to be kind and respectful, but because they are so little its hard to know what to do. Your words are very helpful. THANK YOU! P.S. Your little man is truly adorable. He is radiating joy in the photos!!! Great post Taryn! Sharing now. 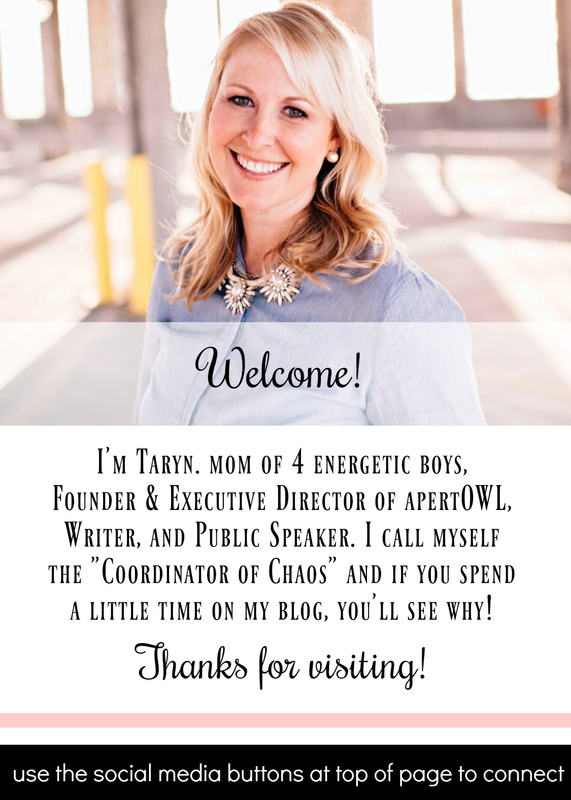 Great post, Taryn! I've shared it on my facebook page! Thanks for sharing! This is a good reminder to not only talk to our kids about embracing the wonderful differences in the world, but to walk the walk as well. Great post! I hope I'm teaching my children all of those important things! Thanks for sharing these tips. And how could you not smile at your sweet boy? I cried when reading the beginning of this. People have told us that we are going to have to grow a tough skin and get ready to hear these things. Our Joey is going on 3 months old and is the happiest baby in the world and I hope that he continues to be this happy throughout his whole life. He is our sweet beautiful baby boy and I dont know if I'm ready to hear those things. I don't know if I will be able to keep it together. I know we have a lot to learn, still, about Apert Syndrome, and I hope that our growing education of it will help me and my husband develope that "tough skin" we were told to grow. I know that Joey is still really young and there is a big age gap, but I would love for Joey and Aiden to get to know one another in the future. Our family is going to attend a CCA picnic this saturday with another family who has a child with Apert Syndrome. I am looking forward to being as involved with the cause as I can be. Give Aiden a big hug from our family! This really touched my heart, Taryn. Thank you for being an advocate for your son. I will be sharing this later this afternoon to spread the word for Craniofacial Awareness month. So pleased your shared your wisdom and heart at the Sunday Parenting Party. Shared, both to spread awareness and because I love the realness with which you write about, well, "what it's like". I think you're doing a wonderful job, and if it makes you feel better, after I first discovered your blog through the blog group, I talked to Ava straightaway about differences. Sure, she's young (she's 2), but when we ran into someone in a wheelchair, Ava all but tried to climb into their lap. Thank you for being so inspiring! Hi Taryn! I was born with craniofacial problems and went through the same playground stuff Aiden is going through, but without an advocate like you. I'm 41 years old now and still distrust strangers because of the way kids would blurt out "what's wrong with you?" rather than, "hi!" You just keep it up, and make sure Aiden knows that other kids aren't trying to be mean...it's just that people sometimes say dumb things when they see something they're curious about. Wow! Thank you everyone for the sweet comments. I'm so happy to have shared this and encouraged some of you to talk about differences with others. Every little bit helps! 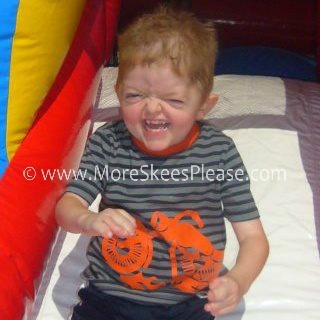 The funny thing is, ALL kids experience teasing for one reason or another throughout their lives so fostering an environment of acceptance will help not only kiddos with physical differences but everyone! Thank you for helping me raise awareness!